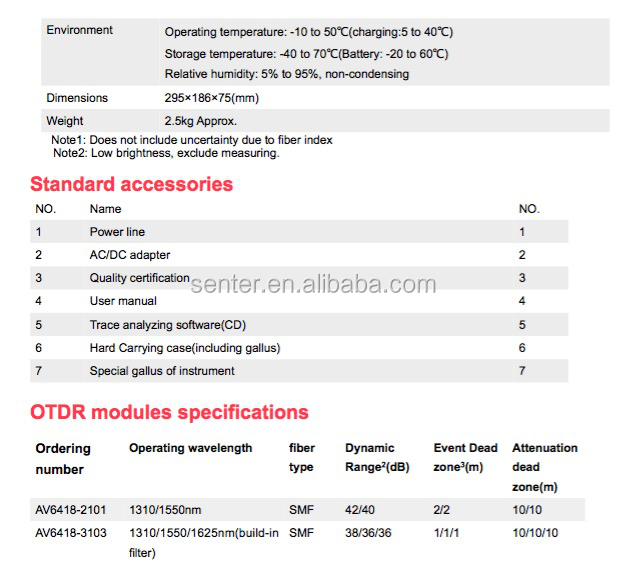 AV6418 OTDR is mainly used to measure FTTx network, it provides multifunctions in one unit. AV6418 offers three measuring modes: manual mode (including real time mode and average mode), auto mode and dead zone mode. 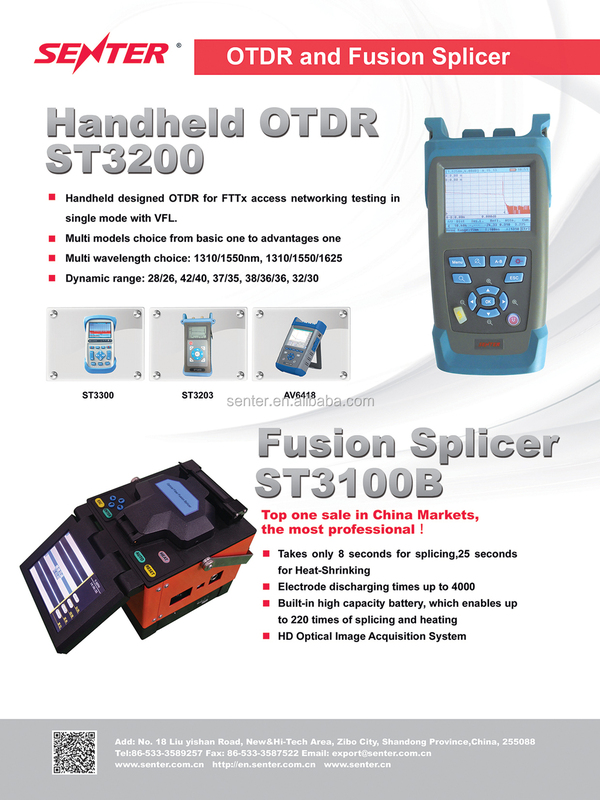 In real-time mode, the dynamic changes of fiber chain can be detected timely, it is very useful when you need to observe the effect and process of fiber being spliced or connected. In average measurement mode, the noise in trace can be suppressed, and the SNR(signal noise ratio) is improved, therefore,the result is more accurate. In fact, the more average times is executed, the more noise in trace is suppressed, and the longer time is spent for signal processing. In practice, the average times should be set properly according to necessity. Auto measurement mode: the optimized measurement conditions are set automatically, it's unnecessary to operator to know about the complicated background knowledge and the further details of operating. In this mode, the more accurate results can be gained when proper average times are set, but it will increase the time of signal processing. 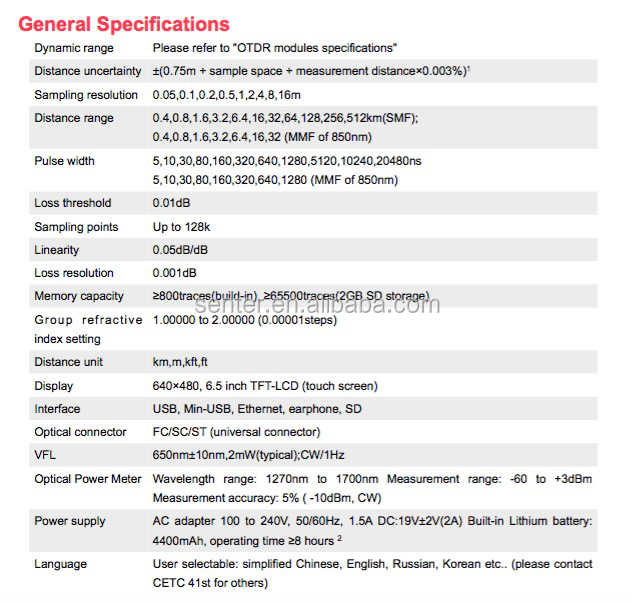 If you're in need of av6418 cetc otdr 1310/1550nm 42/40db otdr tester fiber optic otdr + power meter + light source to help with your business, please be free to buy with our factory. As one of the leading such manufacturers in China, we will offer you low price and unmatched services.